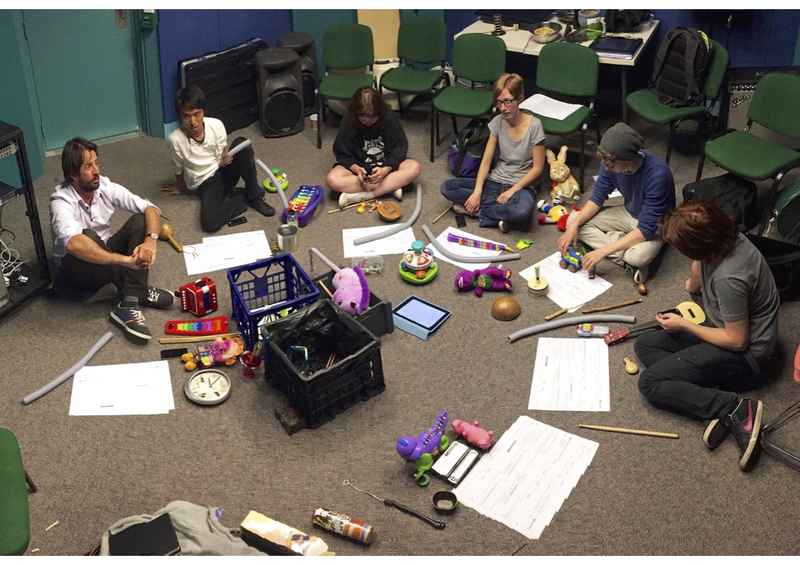 The EMS Toy Ensemble rehearsing for Speakerbox. Image by Charles Martin. The Toy Ensemble and J.M. Donellan performing at Speakerbox. Image by Alexander Hunter. I was paired with writer, musician, slam poet, radio DJ and teacher J.M. Donellan. 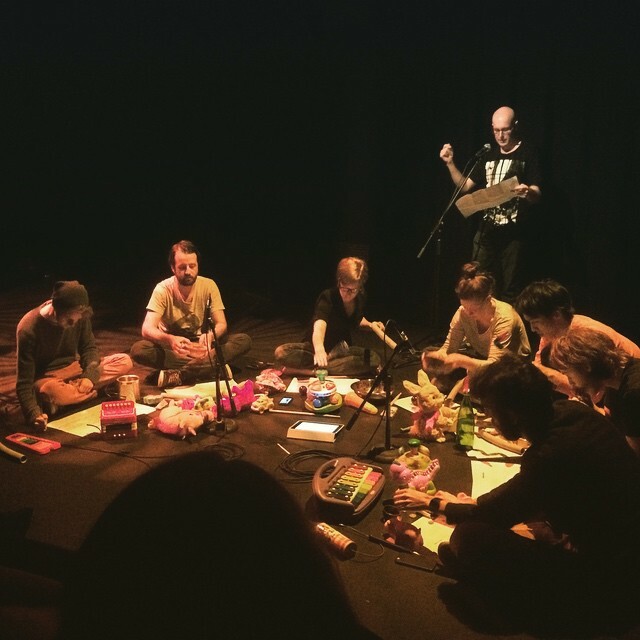 Donellan and the Toy Ensemble premiered two new works (The Artist’s Prayer and White Collar) on the weekend (March 22), a fusion of experimental sounds and poetry. Check out the fruits of our labour here. 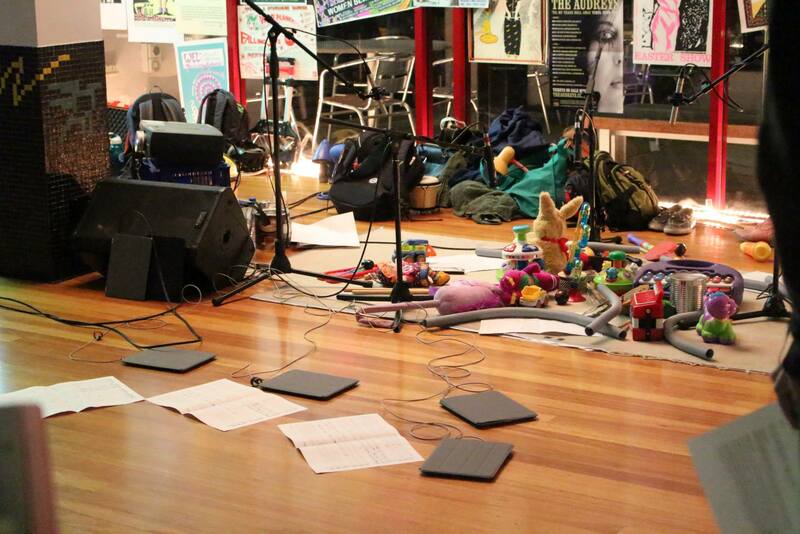 Setting up the EMS Toy Ensemble and iPad Ensemble at the You Are Here festival. 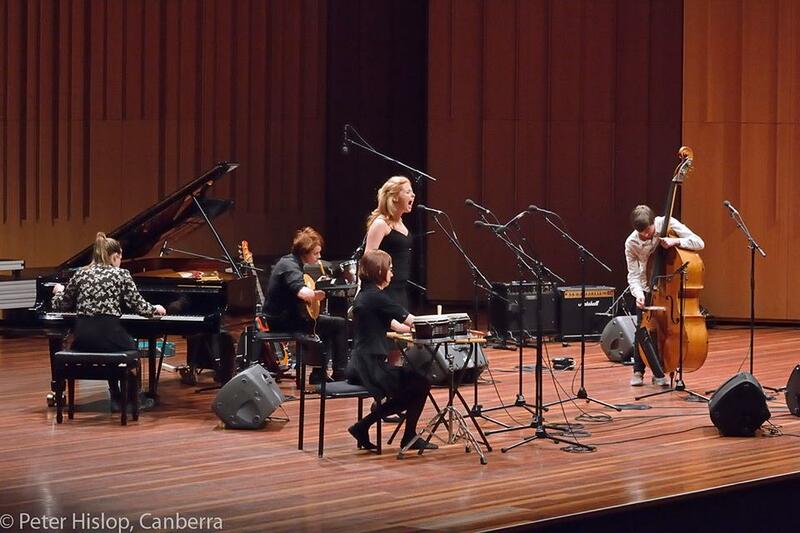 The EMS was asked to perform in the “Art, Not Apart” music festival held in several locations around Canberra. Poet CJ Bowerbird, and QL2 Dance performed with ANU musicians (directed by Dr Alexander Hunter) for the first part of the performance. The EMS then performed a set of structured improvisation that drew on Dr Hunter’s research into anarchism and leftist politics in composition and performance, and open music forms and notation. I was lucky enough to be a part of this ensemble, and was proud to open the “Art, Not Apart” festival with the Experimental Music Studio. The ANU New Music Ensemble will be performing the works of monumental American composer, Christian Wolff, 1pm, March 5 (2015) at the Larry Sitsky Recital Room (ANU School of Music). 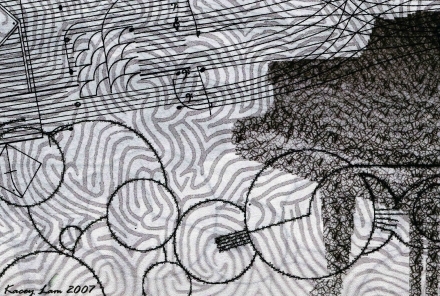 On the same evening, there is a second Christian Wolff concert (yep, you heard right!) at 6.30pm where both staff and students will perform a different set of works by Wolff. We cannot get enough of this guy at the moment! 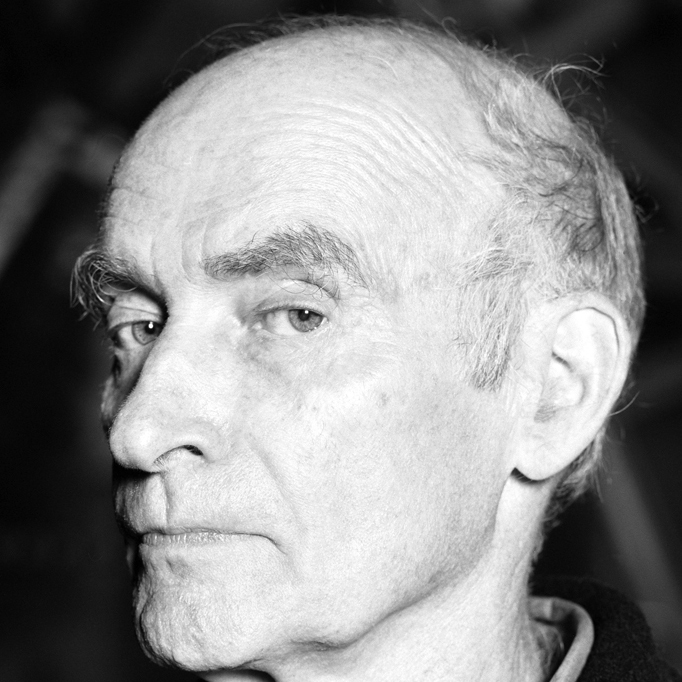 Why Christian Wolff? (Do you really have to ask?…) Other than the completely legitimate reason of, “why not, he freakin’ rocks”, it is also the year of his 81st birthday. The lunch time concert is free, and the evening concert is incredibly affordable, so join us in celebration of Christian Wolff! 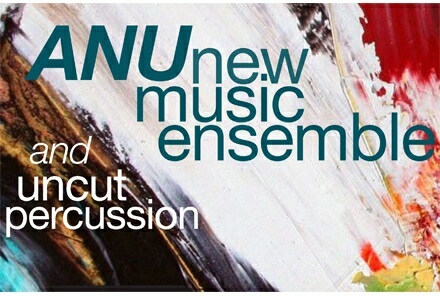 A concert hosted by the newly formed Experimental Music Studio featuring debut performances by the ANU New Music Ensemble and guest artists Uncut Percussion. The concert consisted entirely of music by living composers including Gerhard Stäbler, Kunsu Shim, Earle Brown, George Brecht and Apparat (arranged by Uncut Percussion’s, Veronica Bailey). 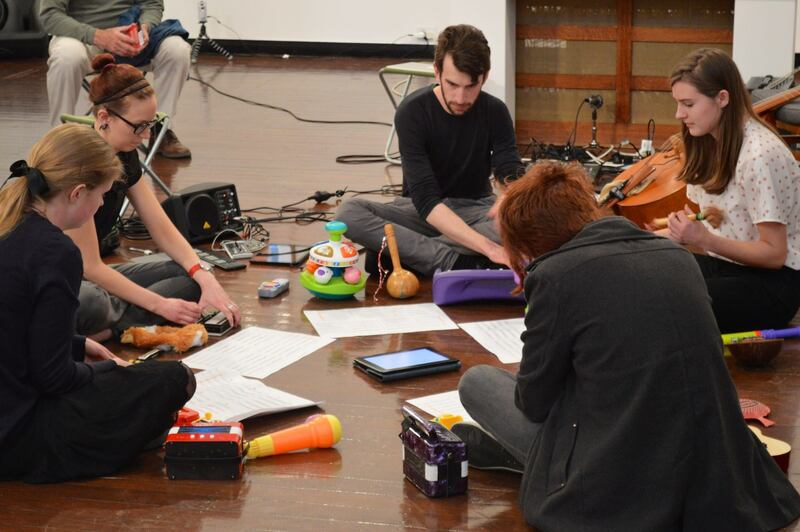 The ANU New Music Ensemble also performed a world premiere of Kyle Gann’s, “The Stream” as well as compositions by ANU’s new composition lecturer Alexander Hunter and student composers Gillian Colgan and myself. Uncut Percussion premiered my percussion quartet Perks for Perc’s. 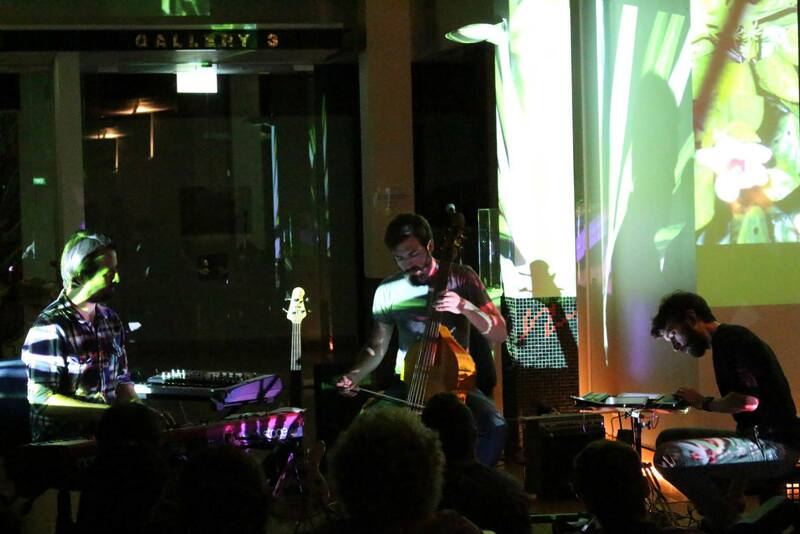 Between August 15 and September 28 the Drill Hall Gallery hosted “Colour Music”, an exhibition of both art and music. 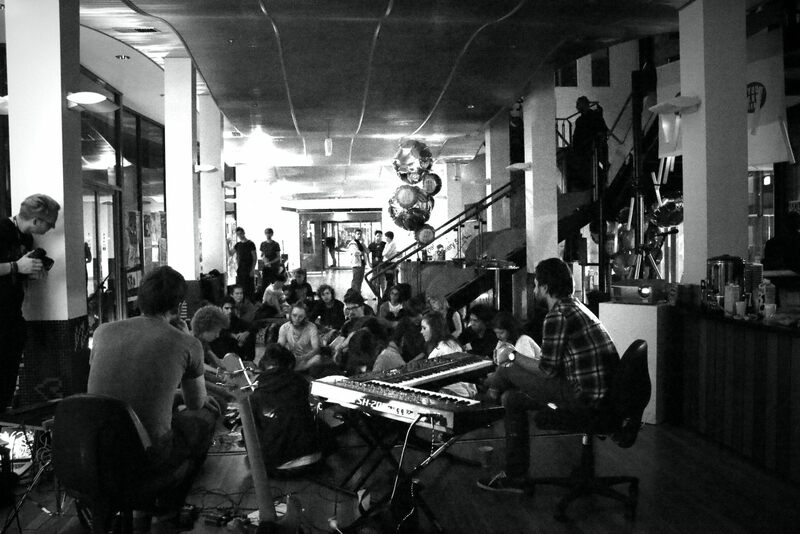 It featured musicians such as Warren Burt as well as ANU’s Experimental Music Studio. I was lucky enough to have two tape compositions premiered as well as a premiere of “Borrowed Time”, a piece for the newly formed ANU Toy Ensemble. 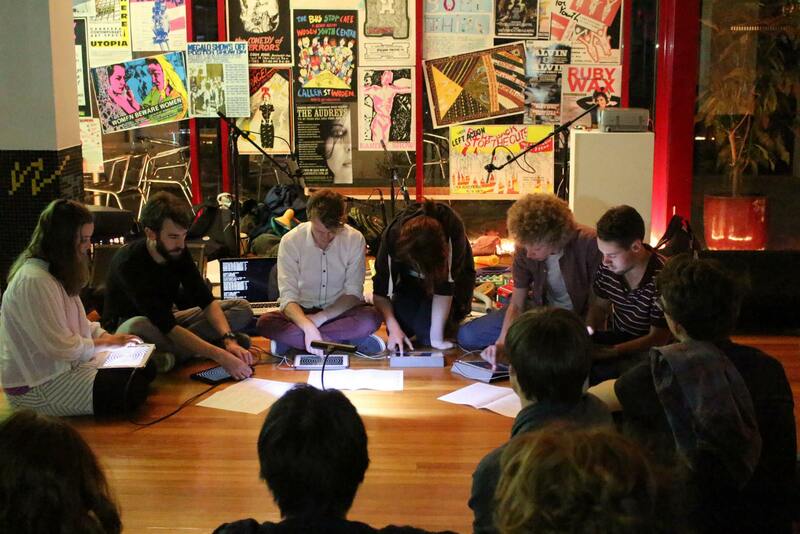 2014 saw the birth of the Experimental Music Studio’s Improvisation Ensemble. We had the chance to perform several times this year in a variety of settings, however the highlight for the ensemble was definitely winning first prize in the ANU Chamber Music Competition. An annual new music concert featuring works composed and performed by students at the School of Music. This year was a fantastic example of collaboration between the ten composers who presented pieces and a good chunk of School of Music students who helped perform these new works. In this concert my piece, “C4” was premiered by members of the ANU New Music Ensemble Millie Watson (piano), Malcolm Newland (percussion), Nichaud Munday (flute) and Helena Popovic (violin). Larry turned 80 this year, and boy does Australia know it! This concert was just one of many celebrating Larry Sitsky and his prolific career. Specifically for this concert I composed, “Binsfeld’s Demons”, dedicated to Larry, written for the ANU Chamber Orchestra, and conducted by myself. 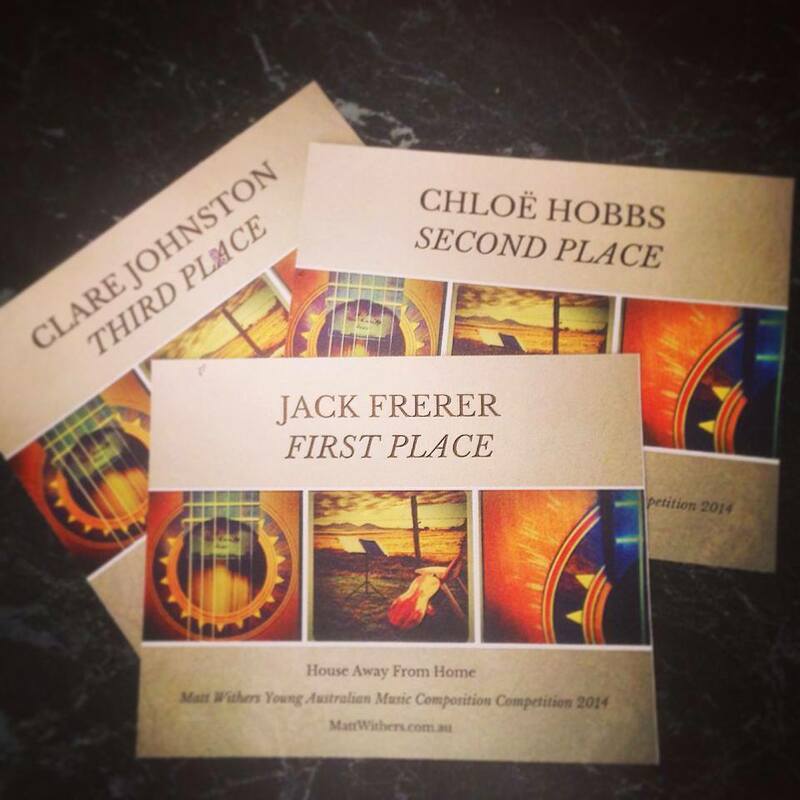 Local guitarist Matt Withers hosted a composition competition, and my piece, “Insect Reflection” came second place. 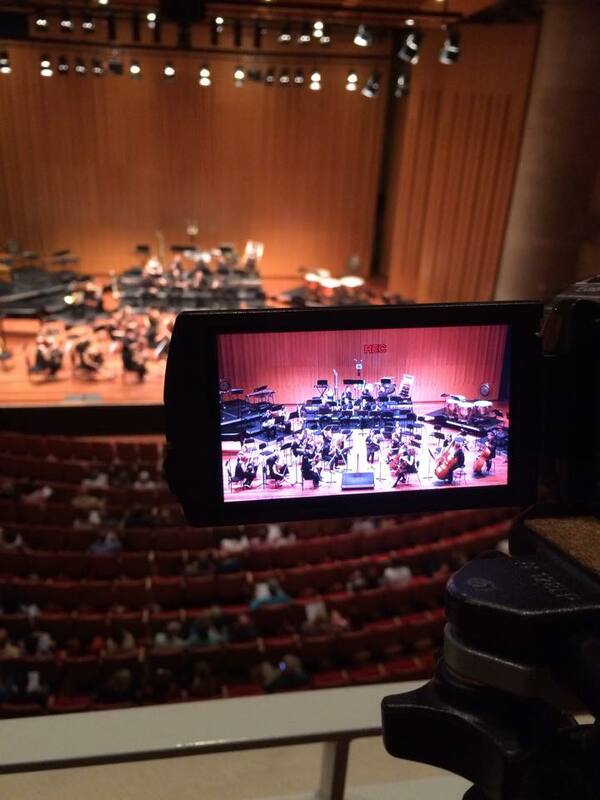 It received its premiere at the concert, “Music With a View” held at the National Arboretum in Canberra and performed by the guitar entrepreneur himself. 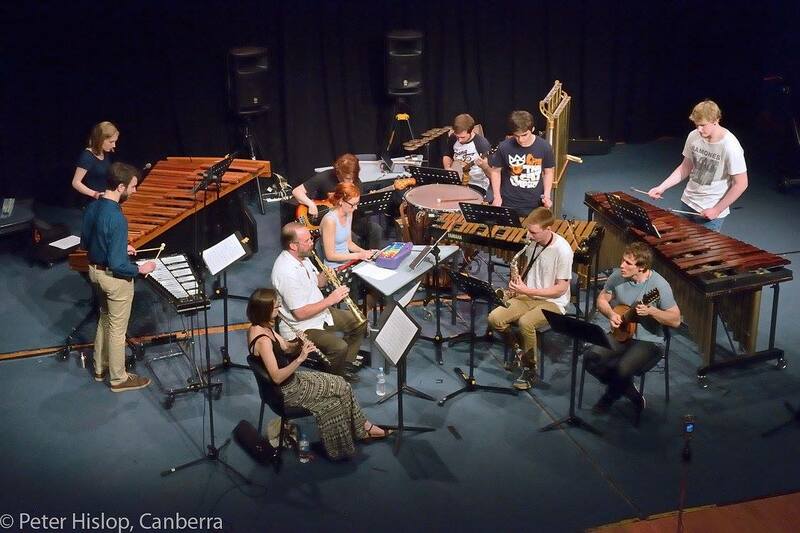 In December of this year the Experimental Music Studio and friends represented Canberra in the worldwide day of In C, celebrating 50 years of Terry Riley’s pivotal composition. We were one of over 30 cities from around the world to participate. 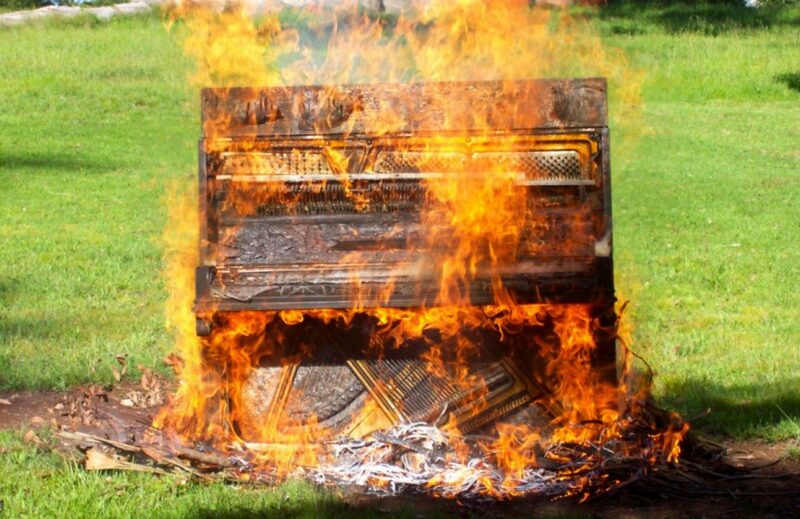 Click here for our performance.